Christmas Tree Preservative | TP053 | Free Shipping! 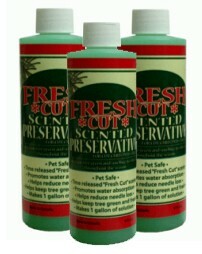 Keep your Christmas tree green and smelling freshly cut throughout the season with "Fresh Cut" Christmas tree preservative. SHIPPING NOTES: This product is shipped from Maine.